Funding for the rehabilitation center. The Association signed a contract for financing the rehabilitation center. 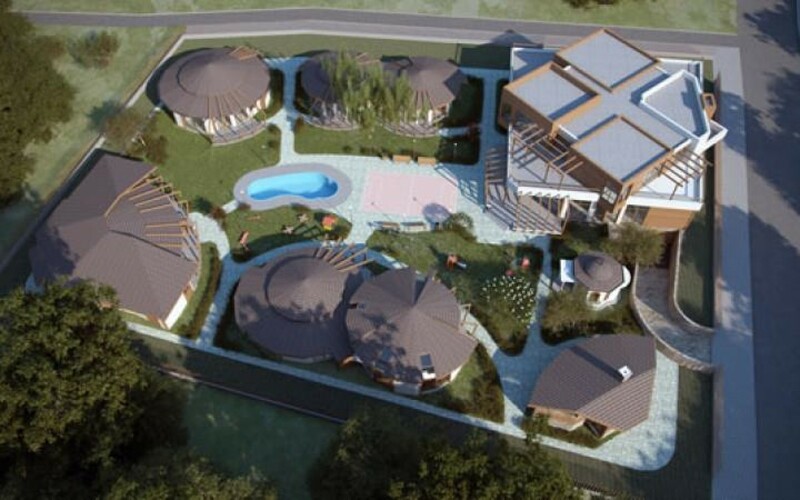 The Association signed a contract for financing the construction of the first in Bulgaria and eighth in the world rehabilitation center for children with oncohematological diseases. We are very proud to announce that a contract was signed on March the 27th, 2018, providing European financing for the construction of the first in Bulgaria and the Balkan Peninsula and the eighth in the world rehabilitation center for children with oncohematological diseases! The project will be implemented under Measure 7.2., called "Investments in the creation, improvement or expansion of all types of small scale infrastructure" of Measure 7 "Main services and renovation of rural villages" from the Rural Development Program for the period 2014 - 2020, co-financed by the European Agricultural Fund for rural development. Soon the construction will begin and our long-awaited dream will become a reality! After the construction, the center will have seven one-family houses, an administrative building with halls for entertainment, a dining room, a swimming pool and a seating area. In addition to the center are the already existing sports playground and auxiliary farm. In the past seven years, so many of our supporters, friends, acquaintances and unknown people, companies and organizations have supported our cause, participated in events, or becoming contributors. The outcomes are - 13 hectares of land on the territory of the municipality of Kostinbrod. On four of them will be built the Center itself. Because of all those volunteers, which supported our association, it was possible to build a sports playground, officially opened on June 1st, 2014. It covers an area of two hectares and consists of a multifunctional sports playground, playgrounds with swings and slides, and small vegetable gardens that allow children and supporters to unleash their potentials and why not hobbies. Opened for visits and events all year round, the playground is the perfect place for organized meetings - various sports events and activities and events for and from the children and their families. It is also very popular with celebrating the most beautiful occasions – birthdays. Two hundred fruit trees have grown beautifully around the facilities since the spring of 2017, becoming a part of our farm. Our auxiliary farm is located on an area of seven hectares near the rehabilitation center.